The Israelis have indicated that they want to do more to help the people of Gaza, if they could be assured that additional things they allow into Gaza will not be repurposed into weapons or used to build tunnels to attack Israel. Israel might choose to ease restrictions on travel, if Israel could be assured that those who are crossing into and through Israel will not commit acts of terror or be smuggling weapons or cash to be used for terrorism.Egypt could also do more to help the people of Gaza, but Egypt shares the same legitimate security concerns as Israel. President Abbas and the Palestinian Authority could restore all salaries and payments in Gaza. But President Abbas also has legitimate concerns, even if the steps he has taken are unfortunate and damaging. Certainly, we would not want see the Palestinian Authority running an above-ground government and Hamas running a shadow government below ground. 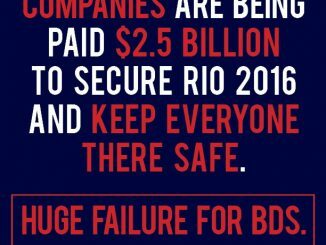 But neither Israel, Egypt nor the Palestinian Authority are the actual cause of the problems; they can only be part of the solution, if given the right opportunity. Deep and pervasive donor fatigue has set in. In the 15 months I have been on the job, I have heard only quick, temporary, small fixes for the people of Gaza. Donors understand that none of us can significantly change the situation in Gaza in the current environment. No one wants to spend money building and rebuilding, only to find what they built is damaged or destroyed in yet another conflict. I have met many people from Gaza – impressive, resilient people. But there will be a limit to what we can do for them while Hamas is in charge. Hamas has managed to bring the people of Gaza, a people with a proud history and great potential, nearly back to the stone ages. What an embarrassment, what desolation, what failure. I believe that given a real choice, the people of Gaza would reject this failed Hamas experiment. The fact is, Palestinians in Gaza need to be re-united with their West Bank counterparts under a single, responsible Palestinian Authority leadership. The future that Mr. Shammalah says he wants for his children – “a chance to thrive”– is the future we all strive to achieve for Gaza and its children. Amid the brouhaha over President Donald Trump’s decision to pull the US out of the appalling Iran nuclear deal, the elephant in the room is standing quietly all but unobserved. Trump’s initiative is being either praised to the skies or deplored with dismay. The question being discussed is whether it will force the Iranian regime to abandon its nuclear program in a new deal or precipitate a terrible war. Following Trump’s announcement, an Iranian missile attack on Israeli military bases on the Golan Heights led to heavy Israeli air strikes against Iranian targets in Syria. There has been an equivalent, although more muted, flap over Trump’s decision to hold face-to-face talks with the North Korean leader Kim Jong-un. The question discussed here is whether this will produce genuine nuclear disarmament by Kim, or whether Trump will be led by his monumental ego up the same garden path along which America has been lured before. Both lines of thought are surely beside the point. For the elephant in the room is regime change. Let’s go back to something approaching first principles. The Iranian regime is a menace to the world going far beyond its nuclear ambitions. Israel’s airstrikes on Syria overnight on Wednesday has been called “Operation House of Cards,” according to reports. On the surface the reference seems confusing. Iran’s Islamic Revolutionary Guard Corps fired 20 rockets at Israel and in response Israel carried out a massive and complex retaliation targeting more than thirty sites in Syria. House of Cards may be a reference to the Netflix series or the saying “house of cards.” Here’s why “House of Cards” is a perfect name for the campaign against Iran’s presence in Syria. Iran wanted to retaliate against Israel for months but it couldn’t figure out when and how. Its rockets were targeted in various air strikes which Syria’s regime blamed on Israel. Iran also wanted to wait for Lebanon’s elections to end on May 6 and to see if US President Donald Trump would leave the Iran Deal. Then Iran’s IRGC sought to fire only 20 missiles at Israel. Iran thought that Israel would retaliate in kind, a rocket for a rocket. It didn’t realize that it had badly miscalculated and that a massive response would occur. It has badly mismanaged its hand in Syria. But creating so many bases and infrastructure it left itself exposed. Its footprint grew over time, and at each phase of Iran’s growth in Syria it became more exposed, not less exposed. So like a poker player who thought he had a great hand, only to see the river card and realize all hope is lost, Iran now realizes it has a weak hand. Iran has built up an impressive presence in Syria. It’s militias and tentacles wrap around the regime. It has tens of thousands of fighters it recruited. But because it is stretched thin and has invested so much it also has more to lose. 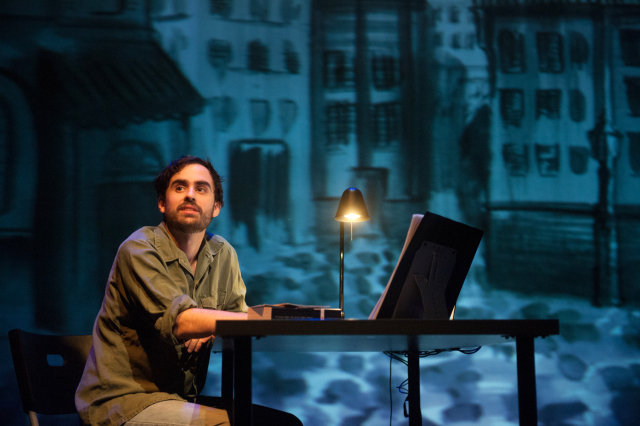 This presents a kind of “house of cards.” Iran has built up its networks carefully over time. Huge investments in men and resources. Construction equipment. Convoys. Missiles. Bunkers. Training. And now that house of cards is at risk. Too many provocative moves and Iran could find itself seriously threatened. 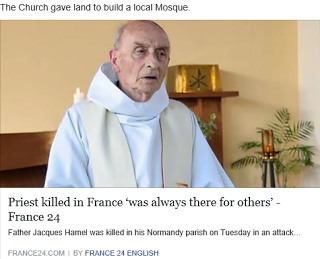 The regional peace that has prevailed in Europe since World War II is supposedly because the countries there finally reached a state of calm and unity and decided to put an end to the bloodshed. The truth is quite different. It was the Soviet threat that forced Western European countries to unite under the American umbrella. The Middle East is now undergoing a similar process. Ethnic, religious, and interstate conflicts are dwarfed by the Iranian threat, which is headed by a Shiite militant religious leadership. The Arab states, most of which are Sunni, are anxiously watching a country with an imperial past that is close to developing nuclear weapons. At this stage, Arab states such as Saudi Arabia and Egypt are not convinced that the Jewish threat is worse than the Shiite. The Israeli attempt to prevent Iran’s growing military buildup in Syria, as well as the exposure of the Iranian nuclear program by Prime Minister Netanyahu to the rest of the world, strengthens the image in the Arab capitals of Israeli determination to curb Iranian expansion. Similarly, the departure of the U.S. from the 2015 Iranian nuclear agreement will most likely strengthen the readiness of the Sunni Arab states to remain in the anti-Iran coalition. A deal, like a contract, in its simplest form, refers to an exchange between two or more parties; where mutual accommodations are made to achieve the desired outcome. Under the terms of the Joint Comprehensive Plan of Action (Iran nuclear deal), the Islamic Republic, we are told, agreed to put the brakes on its nuclear ambitions for a brief period – at best delaying its “breakout” potential by a few years. That’s it. 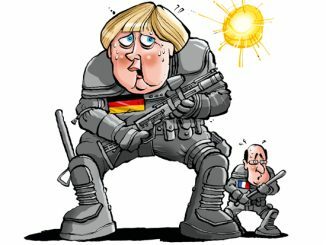 The west gave up every shred of leverage it had. The deal terms dropped economic sanctions; provided billions in cash to support global terrorism; accepted absurdly lax inspection protocols of Iranian nuclear and military sites; did not address the issue of containing Iranian territorial ambition in the Middle East; and did not address Iran’s ongoing ballistic missile program. The JCPOA was an epic hoax. And a failure. Smug leadership utterly disconnected from the brutal reality of the Middle East pontificated to the mob, edifying us, in our simplicity, as to how complex it all is and how brilliant they all were to coax the so-called “moderate” faction of the Iranian leadership to the table and negotiate such a brilliant outcome. Until President Donald Trump began “talking turkey” last October, no deal proponents spoke about modifying it, supplementing its deficiencies with a stronger addendum. There was no need for such nonsense because the deal was as good as it gets. Presidents have the clear authority to make nonbinding political commitments. That is why I defended the legality of the Iran deal (as opposed to its wisdom) at the time [it was being concluded]. But whenever a president makes an agreement as a political commitment rather than as a binding agreement under international law, he is making a tradeoff. On the one hand, the president can avoid the need for approval from the Senate or Congress and make the international deal despite domestic opposition. On the other hand, a political commitment has no binding force under international or domestic law—and there is thus a danger that it will not be honored by a subsequent president. . . . The Obama team was aware of this tradeoff, but it knew it had no chance to secure approval for the Iran deal from Congress. . . . For Obama to join the agreement that he thought so crucial to the fate of the world, he needed a constitutional mechanism that avoided the need for approval by Congress: . . . easier to make, easier to break. . . .
[Y]ou don’t get to make an enormously consequential international deal in the face of opposition from Congress, skirt the need for congressional consent by making the agreement nonbinding under domestic and international law, and then complain about a withdrawal from the fragile nonbinding agreement you made when a new president who ran on the issue and won does what a majority of Congress wanted at the time. Jimmy Carter, the former president whose biggest claim to fame was the failure to win the release of U.S. hostages held by Iran’s regime — something that Ronald Reagan rectified on Day One of his White House career — has come forward to call out President Donald Trump as misguided for withdrawing America from the terrible Tehran nuke deal. That’s expected; Carter’s no Trump fan. But what’s eyebrow-raising is the reason for Carter’s scorn — that history dictates Trump honor past presidents’ actions. Wrong. On history, it seems, Carter knows not of what he speaks. In January 2016, Barack Obama signed an executive order revoking sanctions on the rogue Iran regime. Obama’s justification for doing so was that Iran had changed — that Iran had complied with global nuke-tied agreements and was therefore worthy of the relaxed punitive measures. But come on. Nobody but Obama and his Iran-friendly cronies believed that to be true. Just as leopards don’t change spots, demonic governments don’t drop their demons and turn saintly — and simply claiming sainthood doesn’t make them trustworthy. Former Defense Minister Moshe Ya’alon said Thursday that while Wednesday night’s strikes in Syria were successful as far as Israel was concerned, they might not be enough to deter the Iranians from opening a front against the IDF in the Golan Heights. According to Ya’alon, this was not the first time the Iranians have tried to open a terror front against Israel from the Golan Heights. Ya’alon continued, “They only resumed that activity recently, in February, with their attempt to infiltrate Israel with a drone. That was thwarted too. 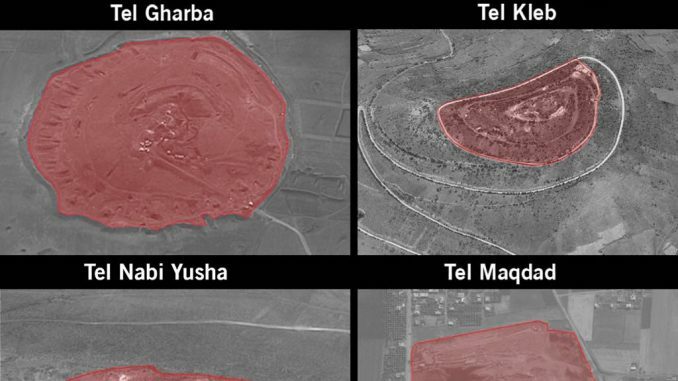 The IDF destroyed many of the targets of the threatening Iranian entrenchment in Syria, and they failed to implement what they wanted to do, whether as a result of their recklessness or as a result of the Iron Dome’s ability to intercept their rockets. A leading Iranian cleric said Friday that Tel Aviv and Haifa will be destroyed if Israel behaves “foolishly,” while also vowing Iran will ramp up missile development despite Western criticism. He spoke as thousands of Iranians marched in anti-Israel and anti-US protests nationwide. “We will expand our missile capabilities despite Western pressure (to curb it)… to let Israel know that if it acts foolishly, Tel Aviv and Haifa will be totally destroyed,” Reuters translated Ahmad Khatami as saying during Friday prayers at Tehran University, broadcast on Iranian state television. His comments came after the Israeli military said it destroyed a significant chunk of Iran’s military assets in Syria earlier this week in response to Iranian rocket fire on the Golan Heights. Khatami also stressed that after US President Donald Trump announced Tuesday he was withdrawing from the Iran nuclear deal — known as the Joint Comprehensive Plan of Action (JCPOA) — the other signatories could not be trusted to continue the deal alone. “America cannot do a damn thing. They have always been after toppling of Iran’s regime and this exit is in line with that aim,” he said. “These European signatories also cannot be trusted … Iran’s enemies cannot be trusted,” Reuters reported. Iranian state TV on Friday aired footage of protests against the US and Israel at rallies in Tehran and elsewhere after Friday prayers. Thousands marched in the protests, carrying anti-US and anti-Israeli banners and posters. Russia last month hinted it would supply the weapons to Assad, over Israeli objections, after Western military strikes on Syria. Foreign Minister Sergei Lavrov said the strikes had removed any moral obligation Russia had to withhold the missiles and Russia’s Kommersant daily cited unnamed military sources as saying deliveries might begin imminently. But Kozhin’s comments, made so soon after Netanyahu’s Moscow talks with Putin, suggest the Israeli leader’s lobbying efforts have, for the time being, paid off. “For now, we’re not talking about any deliveries of new modern (air defense) systems,” Izvestia cited Kozhin as saying when asked about the possibility of supplying Syria with S-300s. Speaking in the north of Israel on Friday, Defense Minister Avigdor Liberman sent a message to Syrian President Bashar Assad, telling him to “throw” Iranian forces out of his country. Liberman visited the northern city of Katzrin to debrief residents following Israel’s largest air campaign in Syria in more than 40 years, in which it says it bombed over 50 Iranian targets. The sortie came after Iran fired 20 missiles toward Israel just after midnight on Thursday morning, the IDF said, forcing residents of the north into bomb shelters. Four of the missiles were knocked down by the Iron Dome air defense system and the rest fell short of Israeli territory, according to the military. Liberman urged Syria to expel the Revolutionary Guard’s al-Quds Force, which Israel blamed for the missile attacks early Thursday morning. In response to Iranian rocket attacks on the Golan Heights on Wednesday, Israel attacked nearly all of Iran’s military infrastructure inside of Syria. Video captured one Israeli air strike on a Pantsir-S1 surface-to-air missile, and as one journalist put it, some nearby Syrian or Iranian troops appeared to have no idea the Israeli strike was incoming. One figure appeared to run inside the truck right before impact. The Quds, the special forces unit of the Iranian Revolutionary Guard Corps, aid the Bashar al-Assad regime in Syria. Israeli Defense Minister Avigdor Lieberman said Israel’s air force had destroyed “nearly all” of Iran’s military infrastructure in Syria. The Islamic Republic and Russia are allied with the brutal Assad regime. 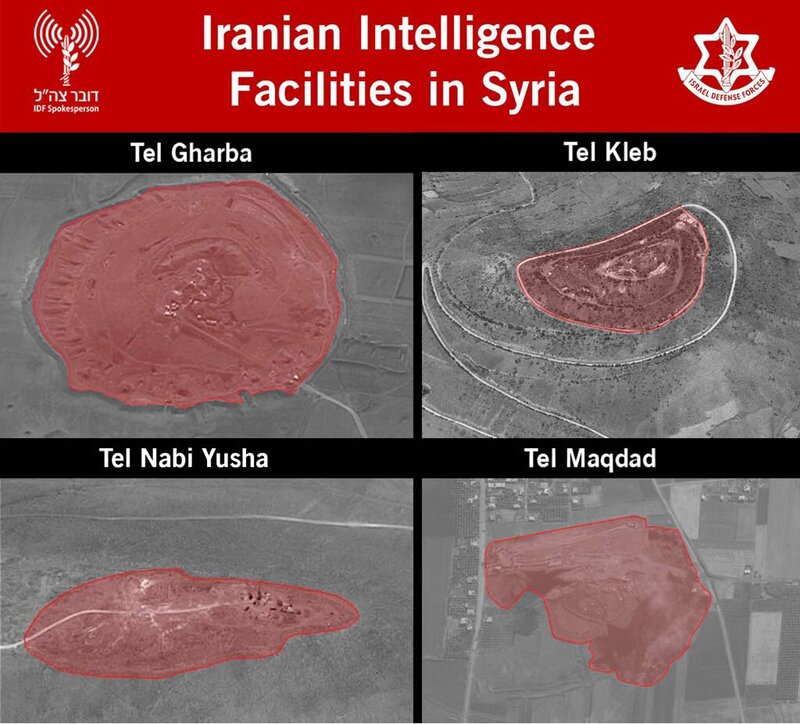 The Israeli military published pictures Friday showing what it said were Iranian intelligence installations in Syria that it attacked during a massive bombardment a day earlier. The attack was in response to a volley of rockets shot toward northern Israel. The 20 Iranian missiles that were fired at but failed to hit Israeli territory on Thursday were not its higher quality precision missiles, preeminent missile defense expert Uzi Rubin told The Jerusalem Post on Thursday. After IDF intelligence warned that IDF bases might be hit by high quality Iranian missiles, which Hezbollah and Syria do not possess, four missiles were shot down by Iron Dome and 16 missed badly, striking Syrian territory. Explaining the perplexing result, Rubin, the founder and original director of the Arrow defense program, a decades-long veteran of Israeli missile defense in the Defense Ministry and the National Security Council and currently a fellow at the Jerusalem Institute for Strategic Studies, said that Iran had more advanced missiles which it had not used. He said there was no way to know why Tehran had chosen to use its lower quality and lower precision missiles, though possibly Israeli warnings had deterred it from using more powerful precision weapons which might cause a greater retaliation from Israel. Ambassador to the UN Danny Danon demanded the United Nations Security Council condemn Iran on Thursday after claiming its forces launched a missile attack on the Golan Heights from Syria. “Israel is not interested in escalation, but under no circumstances will we allow Iran to establish a military presence in Syria whose purpose is to attack Israel and to deteriorate an already fragile situation in the region,” wrote Danon. Israel struck 50 Iranian targets in Syria on Wednesday after the Iranian Revolutionary Guard Corp’s Quds Force fired 20 rockets toward Israel’s front defensive line in the Golan Heights earlier in the day. There were no injuries or damage from the barrage as no projectile landed inside Israel, the IDF said, adding that four missiles had been intercepted by the Iron Dome missile defense system, which had been deployed in the north. Tehran is accusing Israel of assisting terrorist groups in Syria and sowing chaos in the Middle East after the IDF shot down what it said was a weaponized Iranian drone in February. “There is, indeed, enough evidence of the Israeli support to these terrorist groups… and this incident clearly demonstrates their destructive policy in assisting those groups for the purpose of destabilizing the region,” wrote Iranian Ambassador to the U.N. Gholamali Khoshroo. The document, obtained by The Jerusalem Post, is also addressed to President of the United Nations Security Council Joanna Wronecka of Poland. The complaint refers to an incident on February 10 when the Israeli military shot down a drone equipped with explosives they claimed was launched by Iran from a Syrian military base. Khoshroo claims, however, that the “unmanned aerial vehicle” flying near “the border of Jordan and the occupied Palestinian territories” was on an recognizance mission monitoring the movements of Islamic fundamentalists. For years, Iran’s clerical regime has chanted “Death to Israel” and supported Hezbollah in Lebanon and Hamas on Israel’s borders in Gaza and the West Bank, which the US designates as terror organizations. ‘Put these on,” an officer said assertively, handing me a helmet and a Kevlar vest. “And keep your head down.” Hamas’s “peaceful protest” narrative shatters when it clashes with reality. The six-week “Great March of Return” is nearing its crescendo. Hamas’s declared objective is breaching the border and “returning” to what is now Israel. But their real goal is to garner international attention by clashing with the IDF under an image of nonviolent protests, while portraying the casualties as victims of IDF brutality. So cynical is their use of human shields, that money incentives are offered for every injury and death. The IDF’s declared and practical goal is to defend the border, minimize friction and casualties, and avoid escalation. Relatively speaking, both sides have been achieving their goals, although Hamas has the upper hand in PR, as it is easy to deceive and manipulate public opinion. I know the IDF very well and having spoken to friends and relatives who serve there, I already had a relatively good picture of what was going on. But I needed to see it with my own eyes. I wanted to look soldiers in the eye and hear what they felt about the situation, how they perceived their mission, and how they related to the other side. I was taken to the top of a mound of earth, erected a short distance from the fence, segments of which were ablaze from burning tires, covering the area with black smoke. Several people were hurling objects towards us with slingshots, and some thirty people were preparing a large kite, waiting for the wind to pick up. Nonviolent demonstrations? I saw a war zone. Hamas, the U.S.-designated terror group that rules the Gaza Strip, has admitted that they are leading the violent demonstrations that have taken place every Friday at the Israel-Gaza border since late March 2018. Some news outlets, however, have portrayed the demonstrations as an organic and “non-violent protest,” effectively minimizing the involvement of the terror group. As CAMERA has highlighted, Hamas, Palestinian Islamic Jihad (PIJ), the Popular Front for the Liberation of Palestine (PFLP), and other terrorist organizations have interspersed operatives among thousands of Palestinian civilians who have gathered at the border. Some were armed with firearms, explosives, and other weapons and sought, under the cover of human shields, to illegally cross into Israel (“Hamas Uses Human Shields and The Washington Post,” The Daily Caller, April 4, 2018). The other objective of the so-called “Great Return March” has been to incur civilian casualties, with terrorists using mirrors and burning tires to obscure the vision of Israeli snipers targeting terror leaders in the crowd. Hamas and others have hoped that they can score a propaganda victory against the Jewish state. And the media seems determined to help. Many major media outlets have ignored the fact that most Palestinians killed in the demonstrations have been linked to terror groups. According to a April 26, 2018 report by the Meir Intelligence and Terrorism Information Center, as many as eighty percent of Palestinians killed were associated with terrorist groups—including some who presented themselves as journalists. Palestinian resistance to America’s opening of an embassy in Jerusalem on Monday is based on a “fantasy” unhelpful to their cause that they retain veto power of the fate of the ancient capital, senior Trump administration officials said on Friday. Previewing the embassy opening, the officials called on Palestinian Authority leaders to “get on board” with the “reality” of Jerusalem’s status as Israel’s capital, and on the presence of the US embassy there. The PA has effectively cut off contact with the US administration since President Donald Trump chose to recognize that status in December of last year. US diplomats raised a toast to their last day in the old US embassy in Israel, long based in Tel Aviv. The opening event on Monday will be attended by hundreds of guests, including the US ambassador to Israel, David Friedman; the daughter and son-in-law to the president, Ivanka Trump and Jared Kushner; Treasury Secretary Steve Mnuchin; and Jason Greenblatt, the US special representative for international negotiations. 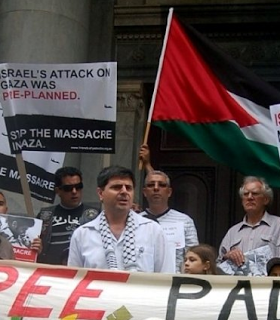 The PA sought membership [in Interpol] as part of its broader strategy of political and legal warfare against Israel. [Its] admission . . . further debases Interpol, . . . which is required by its constitution to focus exclusively on ordinary crime. It also reflects the fact that the world’s autocracies have learned that Interpol can be a valuable instrument of oppression and that the dominance historically enjoyed by the Western democracies in Interpol is fading. . . . The most frequently cited risk of Palestinian membership in Interpol is that the PA will use Interpol’s channels to seek Red Notices on serving Israeli officials. When made public, Red Notices also have secondary effects through the international financial system, as well as through visa and passport systems. If Ramallah were to request such Red Notices, if Interpol issued them, and if Interpol member nations acted on them, Israeli officials would find themselves on trial, presumably for [alleged] war crimes or crimes against humanity, in the West Bank. This risk, [however,] though genuine, is not as immediate as it might appear. . . .
Palestinian membership in Interpol . . . poses a greater risk to private citizens who publicly support Israel, both in Israel and anywhere else around the world. The PA would face high barriers if it sought to publish a Red Notice on a serving Israeli official, but it would face much lower barriers if it alleged that a private citizen was part of a criminal conspiracy against [it]. It would still be difficult, verging on impossible, for the Palestinian Authority to extradite a private citizen to the West Bank, but the point of the Red Notice would not be to secure an extradition. It would be to harass Israel’s friends: the process is the punishment. . . .
Russian intelligence foiled a terror attack on this week’s massive Victory Day memorial march in Moscow, a top Russian diplomat said on Friday. About 1 million people marched through central Moscow on Wednesday in the annual Immortal Regiment rally, carrying pictures of family members killed in World War II. 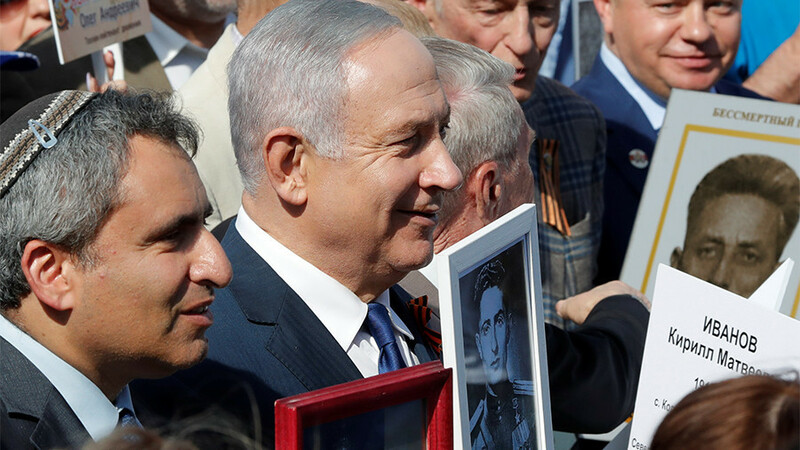 President Vladimir Putin and visiting Prime Minister Benjamin Netanyahu joined the march on May 9, the day when Russia marks the end of the war. Deputy Foreign Minister Oleg Syromolotov said in an interview with the Tass news agency on Friday that several terror groups in western Siberia had stockpiled weapons for the attack. 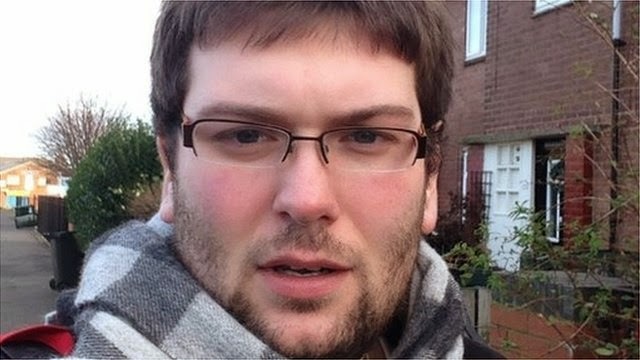 Twenty people have been detained and 17 homes were searched as part of the investigation, he said. When it comes to the future of Jerusalem, 97% of the Palestinians living in the city say that they strongly object to the idea that Jerusalem should maintain its current municipal boundaries and be fully annexed to and controlled by Israel, according to a comprehensive survey conducted by the Leonard Davis Institute of the Hebrew University in Jerusalem. However, the survey also indicates that 97% of the responders said that they also strongly object the idea that Jerusalem should be divided along the June 1967 armistice boundaries, without allowing the residents of the city access between its parts. For the survey, 612 Palestinians from 22 east Jerusalem neighborhoods were interviewed face-to-face in January. Concurrently, 584 Jewish residents of west Jerusalem were interviewed and asked the same questions. The poll’s response rate was 82%; its margin of error was 4%. No Quds. He was thrown our for being a Neo Nazi. Heck if even Ha’aretz admits it..
A top challenger to longtime U.S. Sen. Dianne Feinstein of California, a white supremacist who espouses anti-Semitic views, kicked and dragged an Israeli flag after being banned from the state Republican Party convention. Patrick Little on Saturday was prevented from registering at the party convention at a hotel in San Diego, and was escorted from the venue by security officers, the San Francisco Chronicle reported. 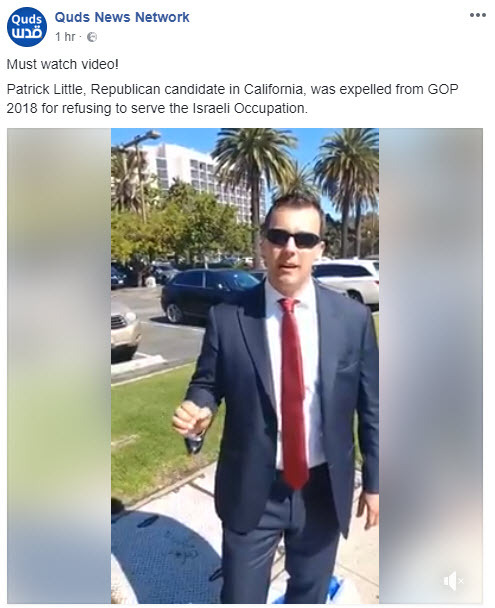 Following his ejection from the party convention, little posted a video showing him spitting and standing on the Israeli flag. The video has since been removed by YouTube. Iraq announced on Thursday it had captured five senior ISIS officials as apart of a three-month-long U.S.-Iraqi intelligence operation. The U.S.-led coalition in the fight against the Islamic State in Iraq and Syria (ISIS) released a statement confirming the news, using an Arabic term for the terror group. The officials, who had been hiding in Syria and Turkey, according to The New York Times, included a top aide to ISIS leader Abu Bakr Baghdadi known as Ismail Alwaan Ithawi. Iraqi forces had reportedly sent information on Ithaw to Turkish authorities, who arrested him in February and moved him to Iraq. Ithawi was then interrogated by Iraqi and American forces in an effort to get information on the other officials’ whereabouts. The U.S.-led coalition used the intel to launch an airstrike last month that took the lives of 39 suspected ISiS militants in Syria, according to the Times. Officials then got Ithawi to persuade the other ISIS officials to move closer to a trap set up by Iraqi and American forces, where they were arrested.